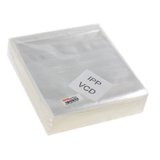 CD plastic bag (1 kg. / Pack). 1 kg. Has about 350 envelopes. Notify me of updates to Plastic insert CD (1 kg. / Pack).